Paul Gauguin Cruises, operator of the highest-rated and longest continually sailing luxury cruise ship in the South Pacific, m/s Paul Gauguin, and the 88-guest m/v Tere Moana, announces 2016 voyages that feature popular favorites along with a new seven-night Tahiti, the Society Islands & Tuamotus itinerary and an 11-night Society Islands & Tuamotus voyage on The Gauguin, as well as a new seven-night Roundtrip Athens, Greece, sailing and seven-night Roundtrip Philipsburg, St. Maarten, voyage onThe Moana. Paul Gauguin Cruises is offering savings of 50 percent off standard cruise fares on all 2016 voyages of both ships, plus included airfare from Los Angeles on m/s Paul Gauguin itineraries. 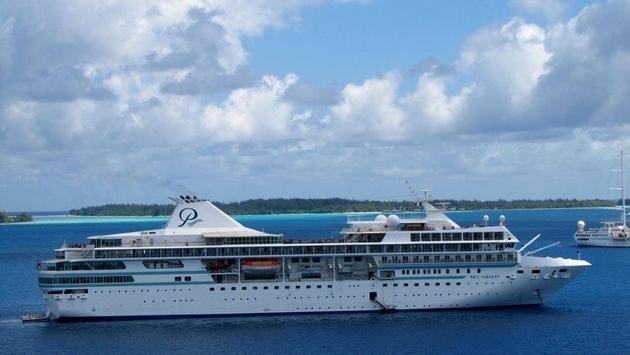 New for 2016 on The Gauguin is a seven-night Tahiti, the Society Islands & Tuamotus voyage that adds the Tuamotus archipelago to the line’s most popular Polynesian itinerary with visits to Papeete, Tahiti; Huahine, Society Islands; Fakarava, Tuamotus; Rangiroa, Tuamotus; Taha’a (Motu Mahana), Society Islands; Bora Bora, Society Islands; Moorea, Society Islands; and Papeete, Tahiti. The sailing departs Feb. 6, 2016, with cruise fares from $5,345 per person, including airfare from Los Angeles. The Gauguin is also offering a new 11-night Society Islands & Tuamotus sailing featuring a second full day on the line’s private island paradise of Motu Mahana. Ports include: Papeete, Tahiti; Huahine, Society Islands; Taha’a (Motu Mahana), Society Islands; Bora Bora, Society Islands (overnight); Rangiroa, Tuamotus; Fakarava, Tuamotus; Taha’a (Motu Mahana), Society Islands; Moorea, Society Islands (overnight); and Papeete, Tahiti (overnight). The Dec. 3, 2016, voyage offers cruise fares from $5,845 per person, including airfare from Los Angeles. The Gauguin will also be featuring its most sought-after itineraries in 2016: the seven-night Tahiti & the Society Islands; 10-night Society Islands & Tuamotus; 11-night Cook Islands & Society Islands; and 14-night Marquesas, Tuamotus & Society Islands, which all feature complimentary access to Paul Gauguin Cruises’ two exclusive retreats—Motu Mahana and a private beach in Bora Bora. At Motu Mahana, guests enjoy a day of watersports, Polynesian activities, a sumptuous barbecue feast, and cocktails from full-service and floating bars. In Bora Bora, guests can relax on a white-sand beach and enjoy refreshments, a game of volleyball, and snorkeling in crystal-clear waters. The Moana will again offer sailings in Europe during spring, summer, and fall, along with cruises in the Caribbean and Latin America during the fall and winter. Two 14-night transatlantic crossings are available between Philipsburg, St. Maarten, and Lisbon, Portugal, departing March 26 and Nov. 12, 2016, with cruise fares from $2,145 per person. European voyages showcase the best of southern Europe, from the Atlantic Ocean to the Sea of Marmara. New for 2016 is a seven-night Roundtrip Athens, Greece, voyage which visits: Santorini, Rhodes, Symi, Patmos, and Mykonos, Greece, along with Kusadasi, Turkey, departing June 4, 2016, with cruise fares from $4,295 per person. The Moana’s seven-night Barcelona, Spain, to Lisbon, Portugal, itinerary also features several new ports including Valencia, Cartagena, and Malaga, Spain. The ship also visits Cádiz, Spain; Gibraltar, United Kingdom; and Portimão and Lisbon, Portugal, departing Nov. 5, 2016, with cruise fares from $4,295 per person. The Moana offers a new highlight on its seven-night Rome, Italy, to Barcelona, Spain, itinerary—a port call at Livorno for excursions to Florence, Italy. The voyage, which departs Aug. 27, 2016, also visits Monte Carlo, Monaco; Nice, France; Cannes, France; Cassis, France; Sète, France; and Barcelona, Spain. 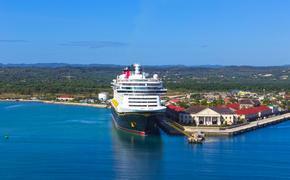 Cruise fares are from $4,095 per person. The Moana’s seven-night Athens, Greece, to Istanbul, Turkey, voyage features Athens (Piraeus), Delos, Mykonos, Santorini, Rhodes, and Patmos, Greece, as well as çanakkale and Istanbul, Turkey, departing June 11, 2016, with cruise fares from $4,295 per person. An Aug. 13, 2016, Rome, Italy, to Venice, Italy, voyage visits Rome (Civitavecchia), Italy; Lipari, Italy; Taormina (Giardini Naxos), Italy; Corfu, Greece; Kotor, Montenegro; Dubrovnik, Croatia; Hvar, Croatia; and Venice, Italy, with a reverse itinerary departing Aug. 20, 2016, and cruise fares from $4,095 per person. A seven-night Roundtrip Rome, Italy, voyage features the Italian ports of Rome (Civitavecchia), Amalfi, Sorrento, Lipari, Capri, Ponza, and Golfo di Aranci along with Porto-Vecchio (Corsica), France, and departs Oct. 15, 2016, with cruise fares from $4,295 per person. A seven-night cruise departing Oct. 22, 2016, on The Moana sails Rome, Italy, to Nice, France, visiting Elba, Porto Venere, Florence (Livorno), and Portofino, Italy; Monte Carlo, Monaco (overnight); Villefranche, France, and overnights in Nice, France, with cruise fares from $4,295. The seven-night Nice, France, to Barcelona, Spain, itinerary features Nice, France; Monte Carlo, Monaco; St. Tropez, France; and Sète, France, along with Palamós, Mahón, Palma de Mallorca, and Barcelona, Spain, and departs Oct. 29, 2016, with cruise fares from $4,295 per person. In the Caribbean, The Moana introduces a new, seven-night “Yachtsman’s Paradise” voyage sailing Roundtrip Philipsburg, St. Maarten. The itinerary features overnights in each Caribbean port allowing guests to immerse themselves in the rich island culture. Tortola, B.V.I. (2 days); Jost Van Dyke, B.V.I. (overnight); Virgin Gorda, B.V.I. (overnight); Anguilla, U.K. (overnight); and St. Barts, F.W.I. (overnight). Departures include: March 19, 2016, with cruise fares from $3,245 per person, and Nov. 26, 2016, with cruise fares from $2,945 per person. In Latin America, The Moana features an 8-night Colón, Panama, to Philipsburg, St. Maarten, voyage visiting Colón, Panama; Cartagena, Colombia; Oranjestad, Aruba; Les Saintes, F.W.I. ; and Philipsburg, St. Maarten, and departing March 11, 2016, with cruise fares from $3,595 per person. The 14-night Philipsburg, St. Maarten, to Puerto, Caldero, Costa Rica, voyage departs Dec. 3, 2016, includes a Panama Canal evening transit and visits St. Barts, F.W.I. ; St. John’s, Antigua; Les Saintes, F.W.I. ; Willemstad, Curaçao; Oranjestad, Aruba; Cartagena, Columbia; Isla de Coiba, Panama; Golfito and Marenco, Costa Rica, with cruise fares from $4,695 per person. The Moana’s seven-night Roundtrip Puerto Caldera, Costa Rica, voyages visits Isla Parida, Panama, along with the Costa Rican ports of Granito de Oro, Isla de Coiba, Casa Orquideas, Casa Saladero, Drake Bay, Quepos, Curú, and Puerto Caldera, with holiday departures Dec. 23 and 30, 2016, and cruise fares from $4,245 per person. The 6-night voyage departs Dec. 17, 2016, and visits Isla Gamez, Panama, in lieu of Isla Parida, Panama, and Curú, Costa Rica, with cruise fares from $2,545 per person. For rates or more information on Paul Gauguin Cruises, please contact a Travel Professional, call 800-848-6172, or visit pgcruises.com.